Having shown some Vesta West episodes by Ray Bailey yesterday, this might be a good moment to share three Ray Bailey romance stories from the Harvey line. 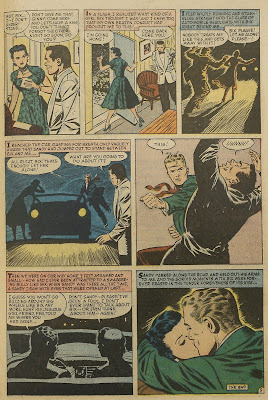 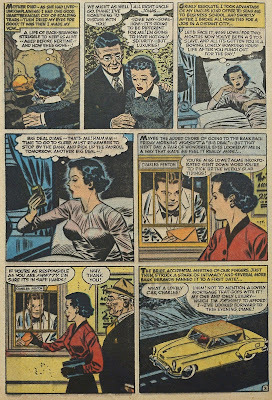 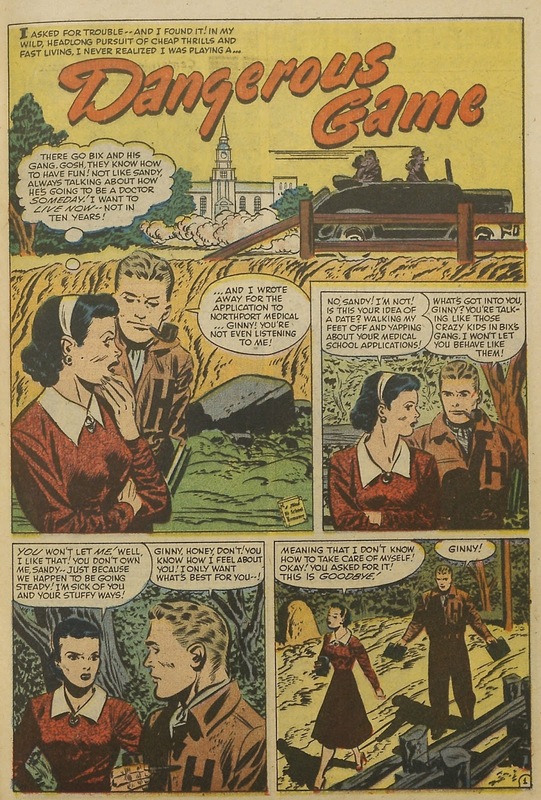 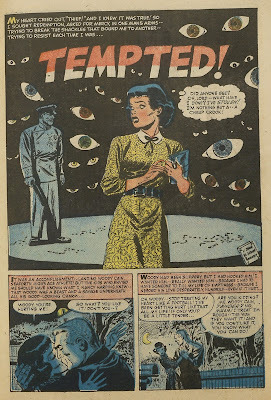 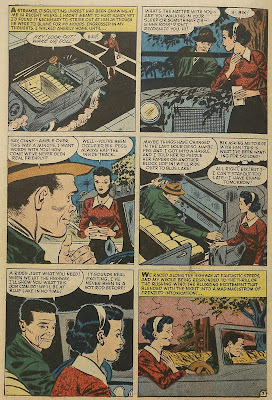 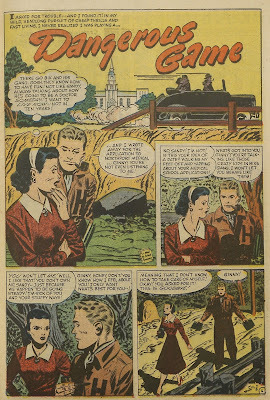 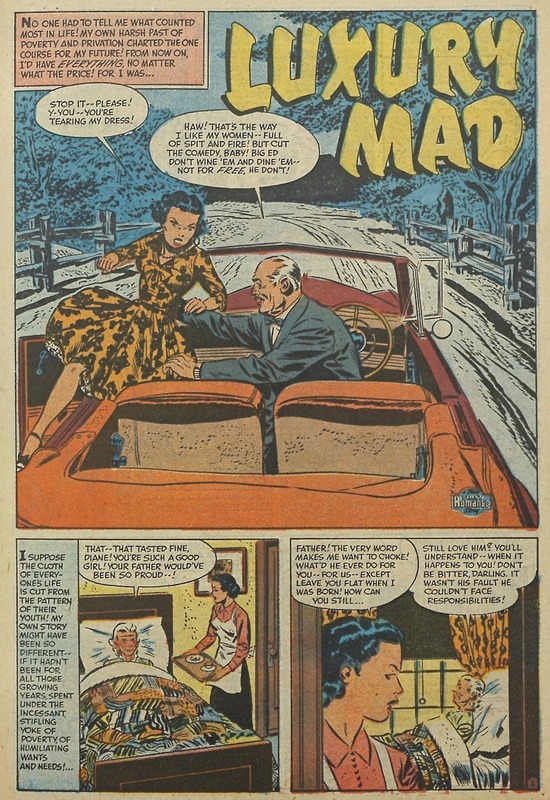 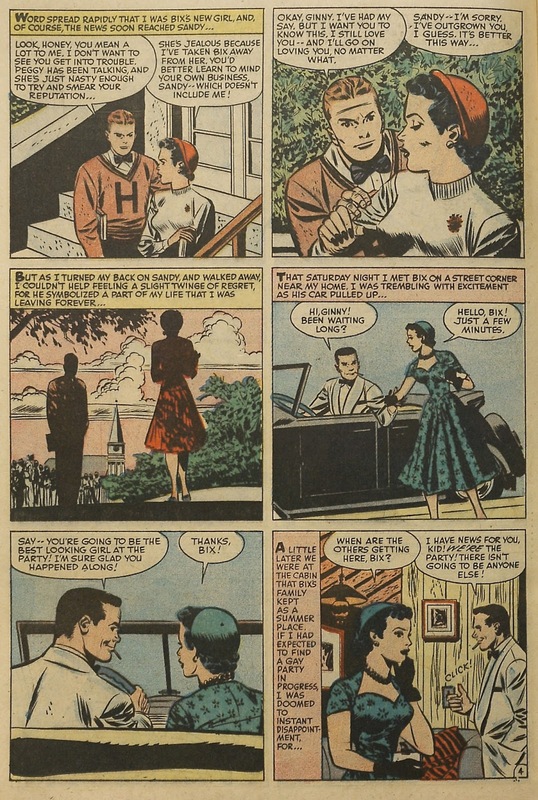 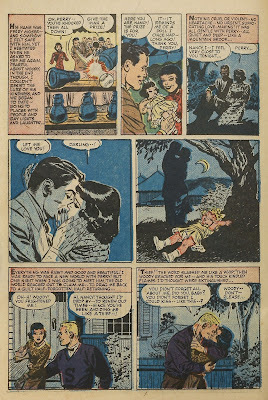 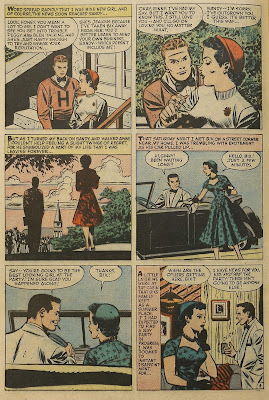 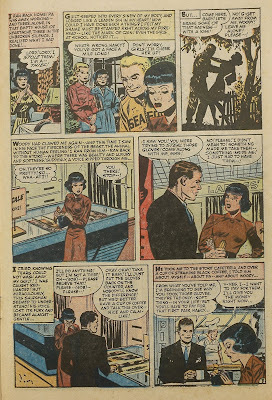 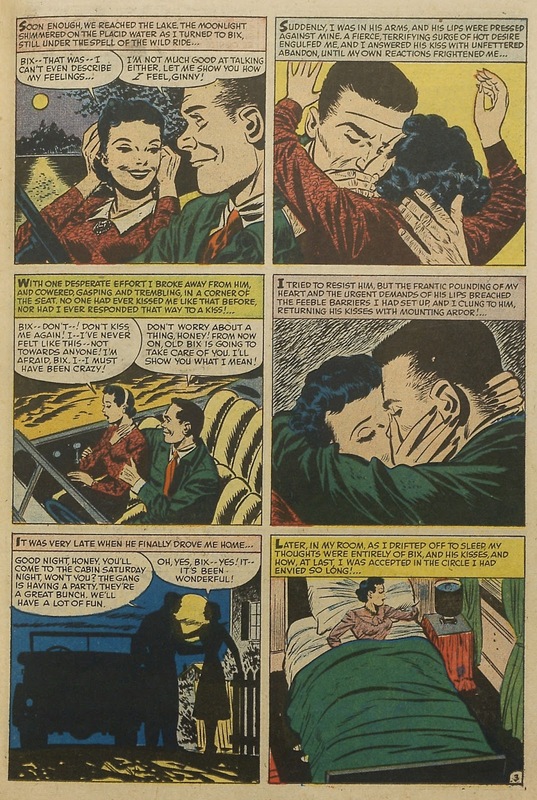 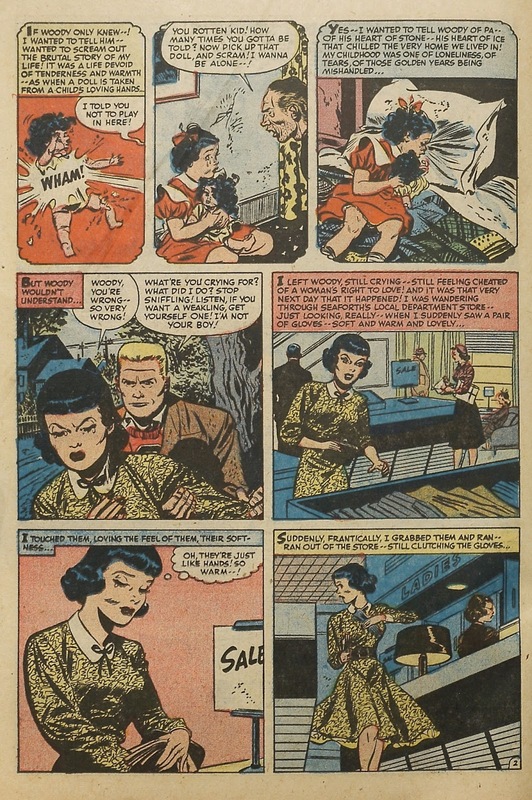 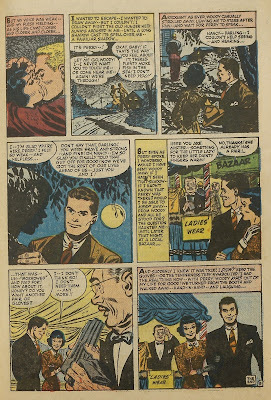 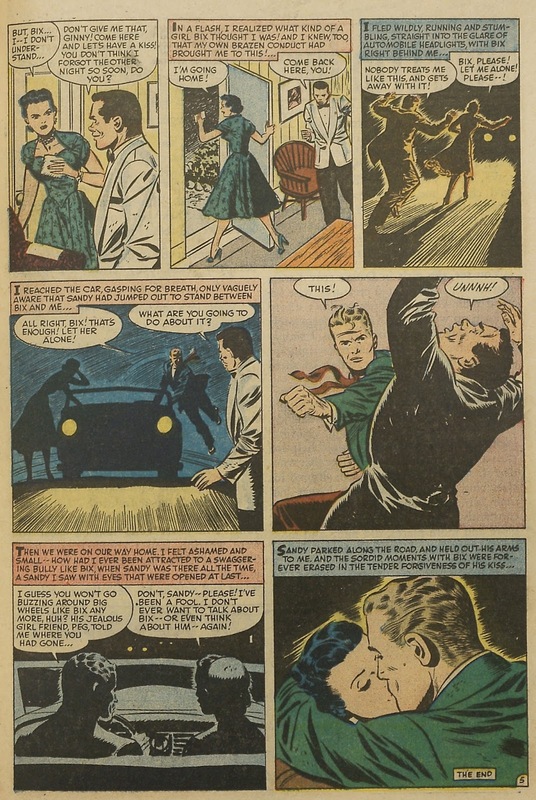 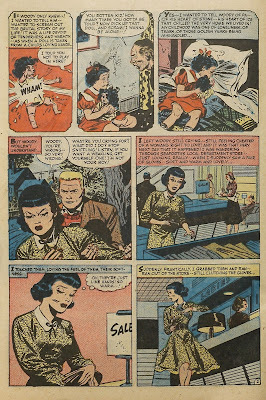 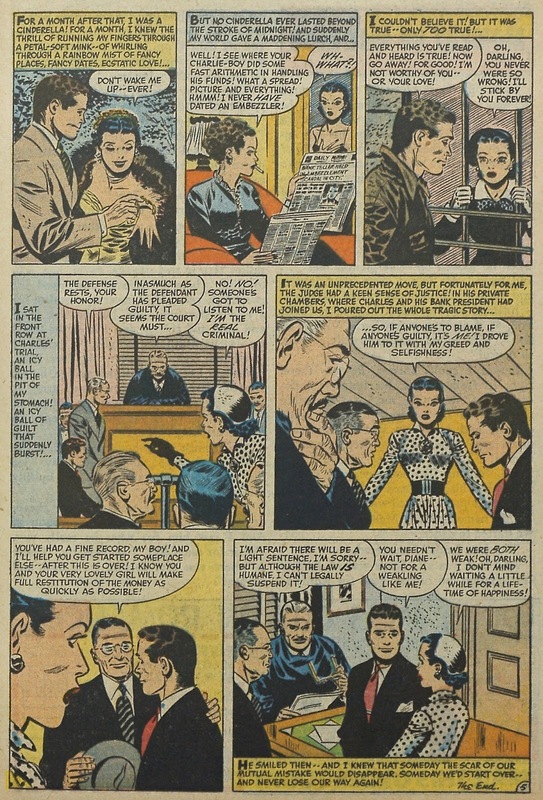 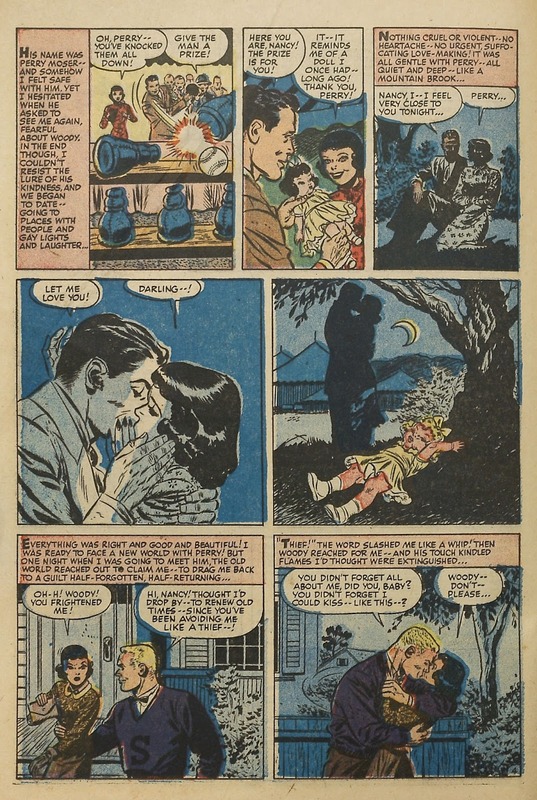 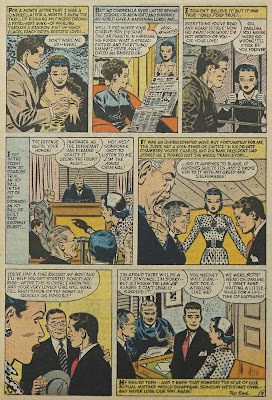 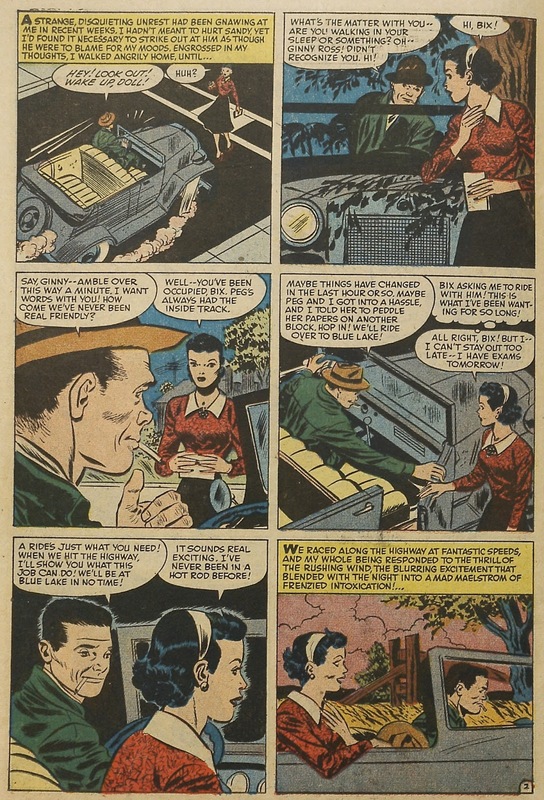 Both were done after his newspaper strip Tom Corbett was stoped in 1954. 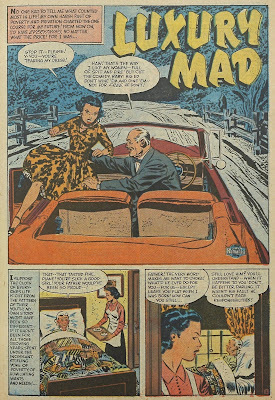 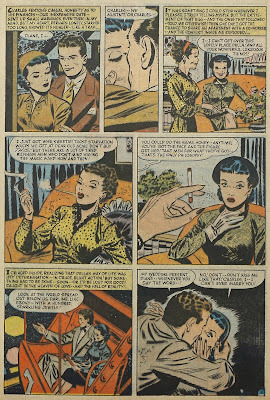 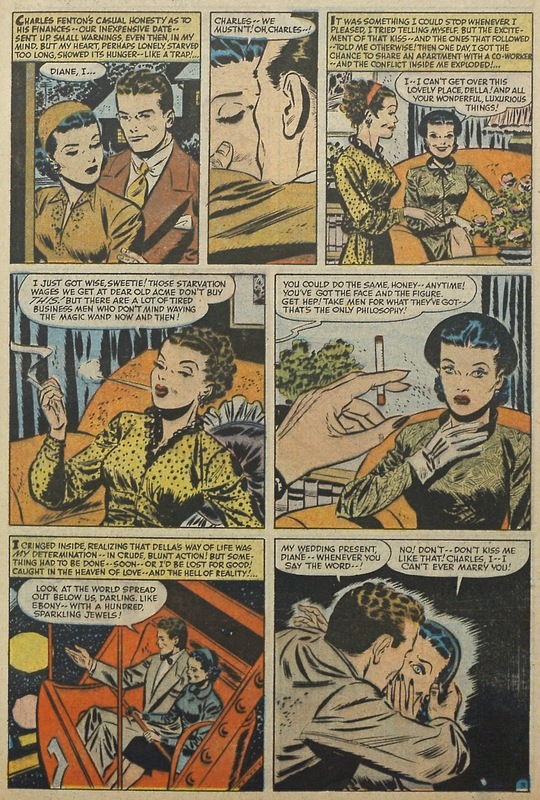 His Caniff influenced style is often mistaken for that of Lee Elias, but underneath they couldn't be more diffrent. 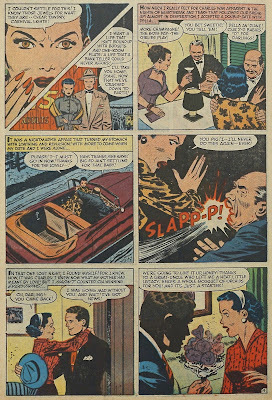 It seems to me that Lee Elias is in essence a cartoony artist and Ray Bailey as realist. 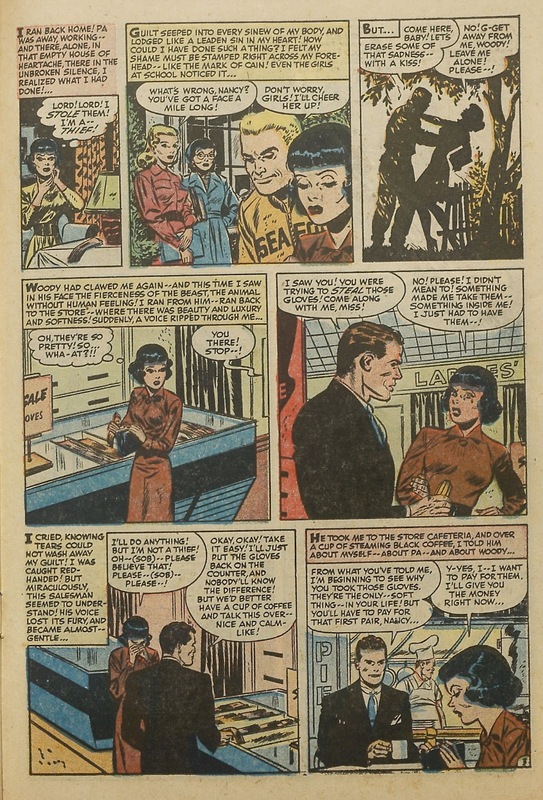 The difference if mainly visible in how they draw women.